Advocating for our kids is one of the most important roles parents play. Not to be confused with over-indulging, advocacy starts with tuning into kids to identify requests that seem to rise from their core, with the potential of adding to their personal development. When Emily said she wanted to “be up there,” I could feel the pull, the passion, and desire. I’m sure that was the same for Ethan’s mom. The other part of advocacy is digging up opportunities, doing the research and legwork kids aren’t yet able to do. I checked the local papers for auditions for kids. 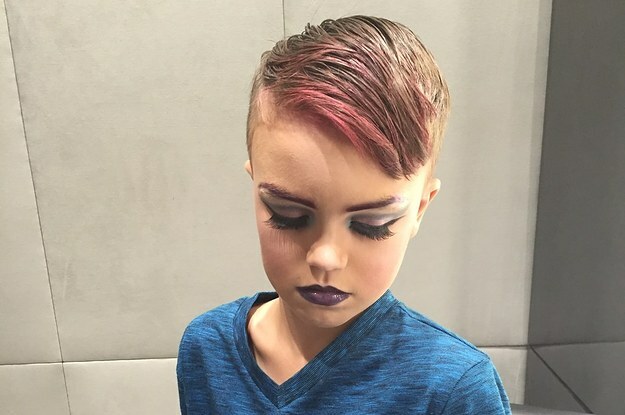 I’m guessing Ethan’s mom Googled makeup professionals. It takes a bit of effort. But nearly anything can be found to answer kids’ calls. My son, Rider, in the middle of fourth grade, began talking of suicide as he struggled with Aspergers. Clearly, advocacy was needed. His mother and I met with school personnel, and thanked them again for all the good work they’d been doing, improving Rider’s sociability day by day. I pointed out, however, that in order to do that, they were focusing almost exclusively on his areas of deficiency. I reminded them of the fact that Rider was gifted in math and science, and yet his talents were being overlooked and his deficiencies were being addressed. School officials decided on the spot to begin bussing Rider to middle school for math, increasing his self-worth and slicing through his depression. Once in middle school, he was bussed to the high school for math. When he used that up, advocacy was needed again. I found a state school for high-end math and science students and began the process to help him apply. He soon enrolled in the Illinois Math and Science Academy, which he still refers to as the best school he ever attended. As parents, we never know what our kids are going to need next, or what they’ll want that derives from their core. But it’s up to us to listen for the really important stuff—the stuff with the biggest payoff for the welfare of our kids. It’s all right there. All we have to do is tune in.